Lance Armstrong was once not only the darling of the cycling world but also the courtroom. However, those years of unparalleled success on the road and manipulation of the legal system could cost the man who was stripped of his seven Tour de France titles a large proportion of his estate. It is over a year since the US ­Anti-Doping Agency published its 202-page report into what its chief executive, Travis Tygart, described as the “most sophisticated, professionalised and successful doping program that sport has ever seen”. The legal wranglings had been on-going for years though with Armstrong putting in a robust defence of his achievements, and while those cool defences still held water in a court of law, Armstrong was in a position of supreme financial wealth. But The Times, whose sister paper The Sunday Times once paid libel damages to the tune of £300,000 to Armstrong, report that in the last three years he has paid out $10 million (£6.27 million) to lawyers, leaving him in a “legal inertia”, and estimate that his intransigence could cost him up to 25% of his entire estate. Having already made two pay-outs to the Sunday Times, an unnamed insurance company and a third case that is to be mediated in the coming week, Armstrong is currently attempting to fend off a further three-pronged attack and has set aside a $17 million (£10.67 million) defence fund, according to the report. His personal wealth is estimated at $60 million (£37.65 million). 1) Acceptance Insurance Holdings. 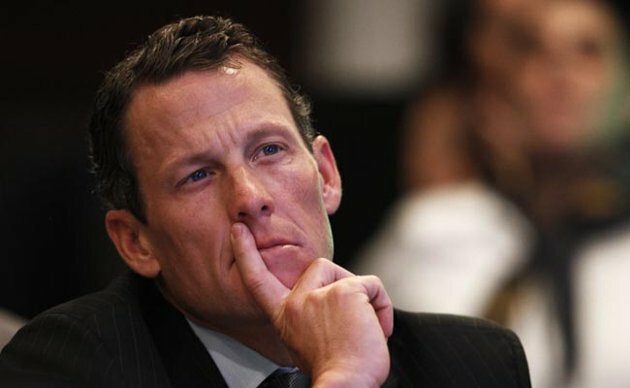 Armstrong has offered $2.5 million (£1.5 million) to settle a claim which states that between 1999 and 2001 Armstrong was paid $ 3million (£1.88 million) in performance-related bonuses that he fraudulently received. The claim now stands at $7 million (£4.39 million) including legal fees and interest. 2) SCA Promotions had withheld bonuses on the grounds that they believed Armstrong had cheated. Armstrong won $7 million in damages in 2006 that SCA is looking to recoup. Under Texan law a settlement cannot be overturned, but the case continues. 3) The whistleblower case. The most serious case to answer. A case initiated by Floyd Landis brought forward on behalf of the US Postal Service (the team they cycled together on) that could end in a payout of $120 million (£75.2 million) – of which Landis would get a cut. Armstrong offered a settlement of $13.5 million (£8.47 million) in January, which was rejected. Complicating matters further are Armstrong’s attempts to compete again. To do that it appears that he would have to cut some sort of deal with the yet-to-be-established Truth and Reconciliation Commission (TRC). However, for his evidence to have any credibility he will be expected to admit to doping in his 2009 comeback, which could leave him open to perjury charges, and further lawsuits. The inertia looks set to continue.